Mr. Wotman practiced law with the national law firms of Finley, Kumble; Whitman & Ransom; and Greenberg Traurig, LLP at their New York offices representing large United States and multinational corporations. 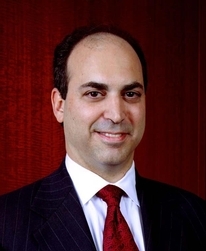 Mr. Wotman was a senior litigation attorney in charge of a number of significant cases for Greenberg Traurig where he supervised junior associates and paralegals in the New York Litigation Department. Greenberg Traurig has over 2,000 attorneys throughout the world. Volunteer, Trial Lawyers Care, Inc. Mr. Wotman provided pro bono legal representation to a family of a deceased victim caused by the events of September 11th seeking an award from the September 11th Victim Compensation Fund. Member, United States Court of Appeals for the Second Circuit Criminal Justice Act Panel. Judge, Brooklyn Law School and Philip C. Jessup International Moot Court Competitions. Board Member, Mid-Atlantic Steering Committee of the Board of Trustees of The National Child Welfare League of America. Board Member, Legal, Court and Preventive Services Committee of the Board of Directors of the Jewish Board of Family and Children's Services. Chairman, New Leadership Division of Bar-Ilan University. Board Member, Steering Committee, Young Lawyers Division of United Jewish Appeal. Committeeman, North Hempstead Democratic Party. Vice President for Membership, Brotherhood, Temple Beth-El of Great Neck.